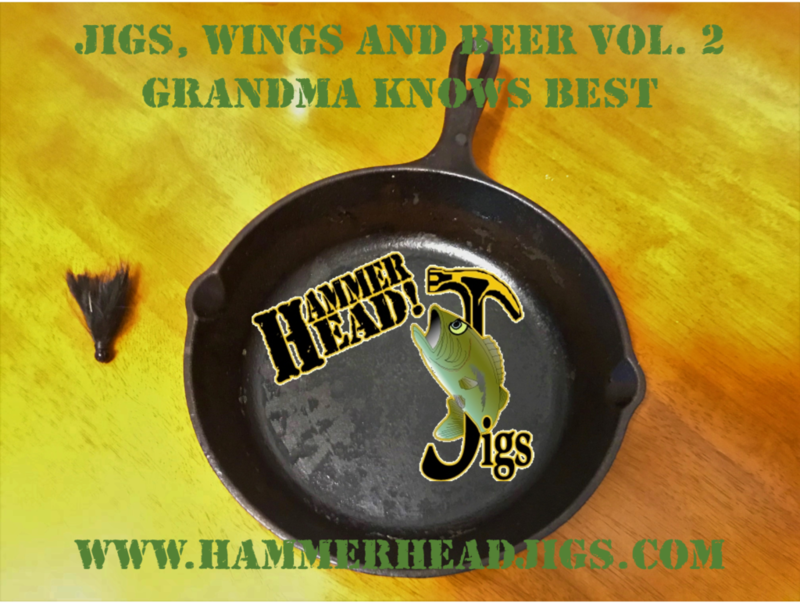 Jigs, Wings and Beer…Grandma Knows Best! Hello, anglers, welcome to another installment of Jigs, Wings and Beer…my attempt to intertwine humor and fishing with a dash of wing sauce and splash of ale. So, what shall we talk about? Recently, I was with a friend fishing a local river, and I tied one of our HammerHead Jig Finesse Series jigs and dipped it into the water and let it just dangle in the water for a few minutes. My buddy couldn’t resist and proceeded to ask me what the heck I was doing…then it dawned on me…he didn’t know and I had never passed along to him an ancient hair jig secret every angler should know when it comes to hair jigs…season your jig. Here’s a question…do you use a non stick pan to fry your eggs? If the answer is yes, my question is why, when a cast iron skillet will perform the same function much better. I’ll wager a pint of John Brown Ale your grandmother cooked with cast iron. Typically, the answer is, “My eggs always stick to the pan when I use cast iron”, and that tells me their pan is not properly seasoned. Proper seasoning is an essential characteristic needed to cook with cast iron or your spitting in the wind, so to speak. So as you can see, hair jigs need seasoning just like cast iron…grandma wasn’t only talking about the pan, she was talking about what you use to catch fish that go into the pan! « Jigs, Wings and Beer…Taking It To The Big Screen!